A pedestrian has been struck on Alturas Street and Stone Avenue and sent to the hospital with possibly life threatening injuries. TUCSON, Ariz. — A pedestrian was struck on Alturas Street and Stone Avenue Thursday night around 9:00 p.m.
Police say the pedestrian was sent to the hospital with possibly life threatening injuries. 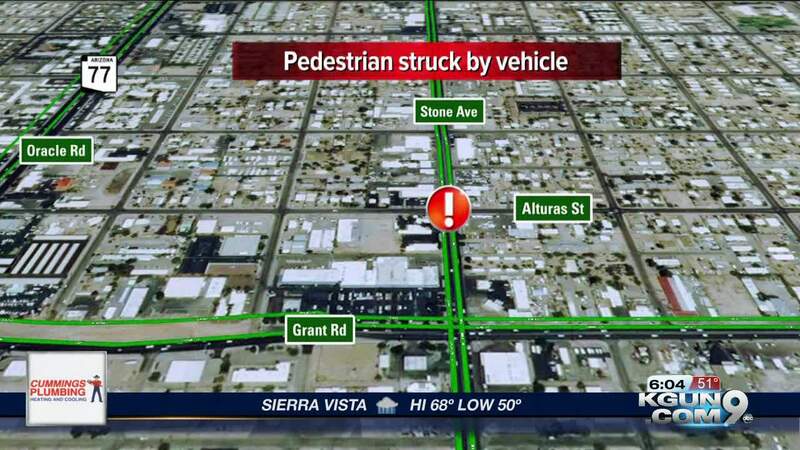 The incident caused Stone Avenue to closed between Alturas Street and Grant Road, and the driver remained on scene.